Thanks to events off the pitch and nothing at all to do with performances on it, Blackpool currently find themselves mired in a sort of No Man’s Land. Fans, players and staff alike are being kept guessing at what’s next in store for the Seasiders. Are they indeed fighting for promotion – as the league table suggests they should be? Or, is it just a matter of time until the club is staring down the barrel of a relegation battle? It's a bizarre situation to find yourselves in when we're nearing mid-February. That uncertainty comes thanks to the looming threat of a 12-point deduction which is currently hanging over the club – one we should find out more about during Wednesday’s latest court wrangle, when receivership is likely to become a reality. As has been the case for a while now, the players and staff don’t concern themselves too much with the internal politics of the club – all they can do is focus on getting wins to keep that points tally ticking over. They certainly did that on Saturday, claiming a vital three points to keep them four points off the play-offs and 13 points ahead of the bottom four – a vital statistic should the EFL unfairly decide to dock the points. It sets the club up for a potentially decisive week both on and off the pitch. Firstly, Terry McPhillips takes his side to the North East to play their game in hand against League One promotion favourites Sunderland. That’s followed by a couple of significant dates within the space of just four days down in the capital – where the latest in the long-running Oyston/Belokon saga will be heard in the High Court before Blackpool face another promotion rival in Charlton Athletic at the weekend. For the two on-the-pitch battles, Pool should go into them full of confidence after extending their unbeaten run to five games with a hard-earned win against the Saddlers. Blackpool owe a lot to returning keeper Mark Howard for their win, Pool’s number one making two match-winning stops to help secure their first home win since the start of December – which just also happened to be against Charlton. It was quite a bizarre situation seeing Howard’s stand-in, Christoffer Mafoumbi, being presented with the club’s Player of the Month award for January prior to Saturday’s game only to see him sat on the bench 10 minutes later. But such is the brutal nature of football and, as it turned out with hindsight, Howard justified his selection with an outstanding display. It was therefore ironic that, during a dominant opening 45 minutes for the Seasiders, Howard had very little, if anything to do. It is often the case for top quality goalkeepers that their stand-out moments come after long periods of inactivity. 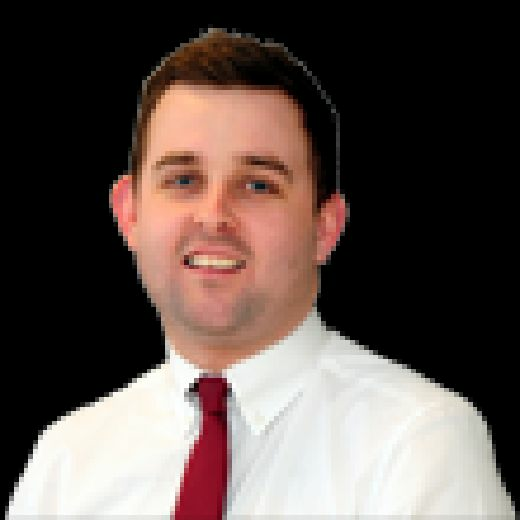 He was a bystander as Blackpool passed their way around their befuddled opponents during the opening period - Walsall really did resemble a side that had only won two of their previous 16 league games. But for all of Pool’s dominance, they only had a one-goal lead to show for it at the interval – that goal coming from Chris Long, the former Fleetwood Town man dispatching his low effort into the bottom corner after being set free by a clever Donervon Daniels pass. The forward was a constant threat in behind Walsall’s backline all afternoon and took his goal in clinical style, making it two from three games since making the move down the Fylde coast last month. The longer it remained 1-0 you just knew the Saddlers would enjoy a spell of pressure at some point, and that turned out to be the case as Blackpool stopped doing everything that had previously proven so successful. Dean Keates’ side emerged a completely different outfit in the second period and had McPhillips’ men camped in their own half for much of it. 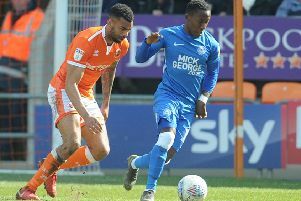 Walsall came close to prising open Blackpool’s defence on a couple of occasions before they were awarded a penalty in the 66th minute for what appeared to be a blatant foul by Curtis Tilt on Aramide Oteh. When you see someone of Matt Jarvis’ quality stepping up to take the resulting spot kick, you just assume it would be dispatched but his effort was expertly saved by Howard at full-stretch. The ball rebounded back across goal into Pool’s six-yard box but Ollie Turton reacted quickest to turn it behind for a corner, otherwise Oteh would have had the simple task of tapping home into the empty net. While that save from Howard was impressive and potentially match-winning, what came next was even better. Oteh somehow managed to get in behind Tilt for a second time but again Howard was the man to thwart the visitors, Pool’s number one producing a remarkable reaction save to deny the forward from close range. Those two saves were as good as a goal for McPhillips’ side. Blackpool eventually made sure of the points two minutes from time, Harry Pritchard getting his reward for his tenacious running as he closed down Walsall defender Dan Scarr, who took the bizarre choice to attempt to bring the ball out from the back while still in his own area. Pritchard closed him down in an instant, stole the ball off him before firing home in at the near post to double Pool’s lead. The celebrations showed just how big a win this could be in the scheme of things – let’s just hope those play-off dreams aren't cruelly snatched away from the players before they’ve even got started.